YouTubeShe’s about to super pumped about what’s in the box. Even though it’s raining outside! Magic! 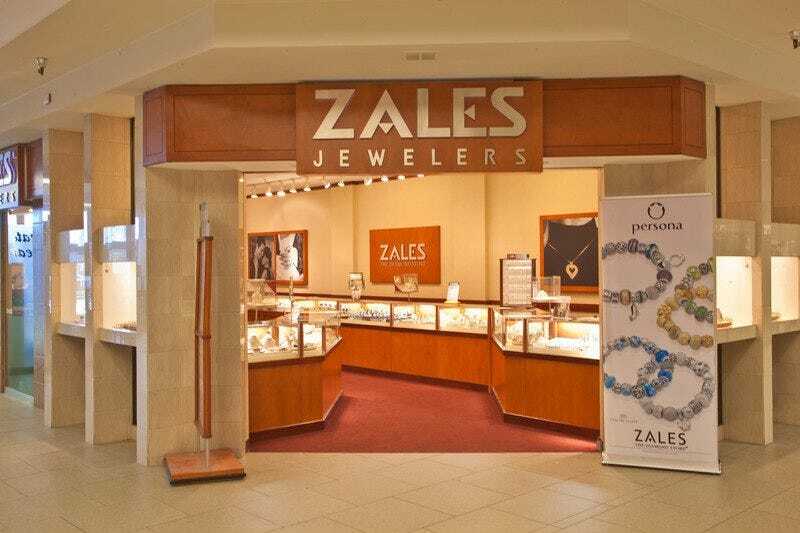 It’s likely that you’ve heard “every kiss begins with Kay”, or that “it could only be Jared.” It’s likely you’ve passed a Zales kiosk at your local mall. If you have, you know what has contributed to making Signet Jewellers — which owns all of those brands through a company called Sterling — the biggest diamond retailer in America. Unfortunately, it’s also in huge trouble right now. The trouble started at the end of May, when BuzzFeed tracked down a bunch of Kay Jewellers customers who said that, after sending their engagement rings into the company for repair, the rings didn’t come back the same. They diamonds didn’t sparkle as much, and one woman said that a small imperfection in her stone (that she loved) was gone. That’s right. 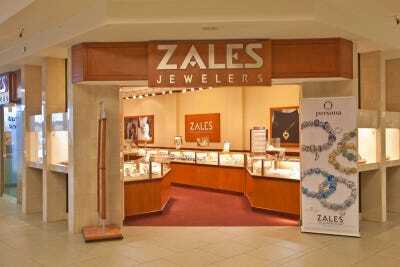 They were getting their rings back, these people allege, with the diamonds swapped out, BuzzFeed reported. In some cases the customers found out that the new stones they had didn’t have the same serial numbers as the ones they’d purchased. In other cases, customers were just given excuses. “Every year we’ve got millions of transactions and millions of repairs we are processing in our stores,” he said, though he added that the company considers even one unhappy customer too many. The market’s not buying that, though. Since the story was published, the stock has fallen 16%, despite a pretty decent first quarter earnings results delivered the very next day. We should also note that there are 301 complaints filed against Signet with the Consumer Financial Protection Bureau. On Wall Street, a place where information can mean a pay day, stories like this one rarely go unnoticed. It is, after all, on some scale, an alleged jewel heist. And so it was on June 3rd, when Grant’s Interest Rate Observer dropped a report that included a deep dive into Signet. That’s where a second, ugly part of this story comes into play — Signet’s accounting. It’s almost always the accounting. Signet uses an in-house credit facility to help its customers purchase their jewellery, and that facility is growing. In 2008 it was used to finance 52.6% of purchases, and it’s 61.5% this year. In the first quarter of the year, this facility provided Signet with 18% of its profit. Now, the way Signet marks it up, its loan portfolio is pristine — only 3.6% of loans on the books are non-performing. Enviable, to be sure. But as Grant’s notes, Signet has a funny way of considering a customer current on its payments. It’s called “regency.” As long as the customer makes a “qualifying payment” by its due date, that customer is considered current. That payment has to be at least 75% of the amount due and be paid on time, according to a company presentation from earlier this year. So if you owe $1,000 and pay only $750, that is marked as a “qualifying payment” and you (the customer) are good to go, for the first 60 days. A full scheduled payment in full is demanded from 60-90 days after purchase. After that, the customer must start making payments on money past due, according to the company. Analysts have found issues with revenue recognition through Signet’s extended jewellery servicing plans as well. In the second quarter of fiscal year 2016, the Sterling Jewellers division undertook an operational change to align the Sterling and Zale ESPs [extended servicing plans]. Prior to the change, the Sterling Jewellers division deferred and recognised revenue on its ESPs over a period of 14 years, with approximately 45% of the revenue recognised in the first two years. After the operational change, the Sterling Jewellers division deferred and recognised revenue over 17 years for all ESPs, with approximately 57% of the revenue recognised within the first two years for ESPs sold on or after May 2, 2015 and 42% of the revenue recognised in the first two years for ESPs sold before May 2, 2015. In other words, Signet is recognising more payment for what may very well may not be paid in full for some time. So how do we know how much of an impact this is making on Signet’s books? For that Grant’s points to Marc Cohodes, former portfolio manager of Copper River Partners who is short Signet stock. Cohodes says that to really understand what the company’s credit facility is doing, you need to look at how many of its customers have declared personal bankruptcy, citing Signet as a creditor. Signet responded to Grant’s report and the fall out from BuzzFeed’s story with a press release on June 3rd. “The trust of our customers is not something we take lightly. It has been an honour to help our customers celebrate life and express love through our high quality jewellery for almost 100 years, and dedication to superior customer service and quality control is integral to who we are and how we conduct business. Our guests are our most precious commodity, and we are committed to maintaining their trust,” said CEO Mark Light. Since then a few law firms have launched investigations into the company citing the recent reports. This is undoubtedly uncomfortable for the company. Unlike diamonds, lawsuits are not forever. They just feel like they are.